The place where you will perform the festival, food and drink, the subject and on this basis the decor, remember how long ago is a place for one to enjoy the party on it, therefore, if you decided the type of decoration you will use, you must apply these details to the entry doors, ceilings, windows and tables. 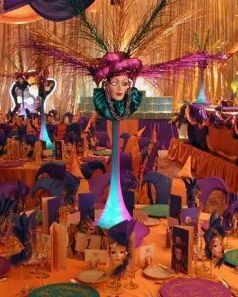 Indeed, thinking about what to put on the table should be sufficiently shocking, so we bring a number of centerpieces, which surely you'll enjoy a lot. 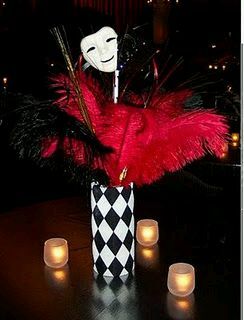 Elegant white mask is the perfect complement to this arrangement with red and black feathers. 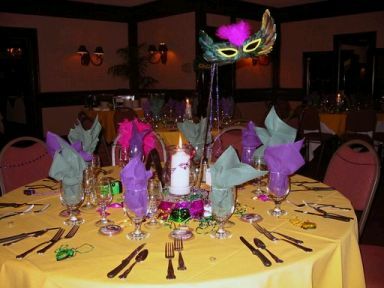 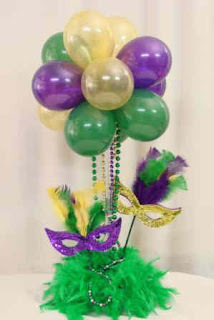 If you chose the decor based on balloons, here's an idea that will be a centerpiece at your party. 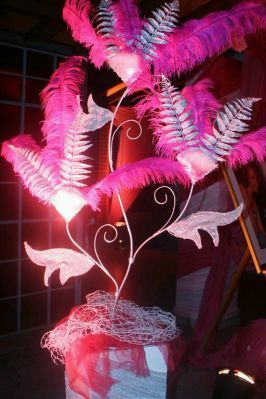 Elegant centerpiece made of metal and silvery leaves fuchsia feathers. Another example of how well the arrangements are, high and colorful feathers. A symbol of these celebrations are the harlequins, and what better if you can include them in your centerpieces. 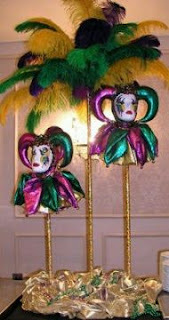 But if you prefer the masks, are also very good. 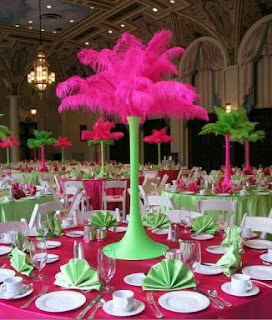 Sometimes you just need a little imagination and good taste to make arrangements as beautiful as these. Finally, the elegance and distinction are present in these fine centerpieces. 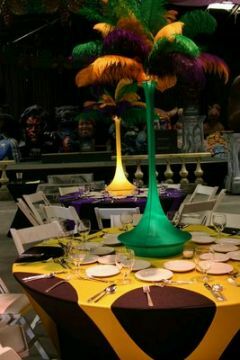 I hope you enjoyed and I have served for the kind of party that you plan to organize.